Miss Two loves her puzzles, and she’s becoming quite the problem solver. Her little mind is like a sponge, she’s constantly taking interest in colours, shapes and sounds. So Miss Two was in heaven when she got to put all of her new skills into practice and review the Sort & Discover Drum from our friends at VTech. The Sort & Discover Drum had Miss Two’s attention from the second I placed it in front of her, with its bright colours and flashing lights she was intrigued and ready to play. As soon as she started investigating and saw the animals on the blocks, she was tickled pink! My little problem solver was in her element, trying each block in each hole and squealing with delight as she got it right. As each shape was placed in the correct hole, the drum called out the shape and animal. Miss Two was delighted and repeated back the shape and animal each time. The drum also sings which she loved, Miss Two followed the instructions to tap-tap-tap the drum, although it was more smash-squeal-smash the drum but she was happy, entertained and learning which made me smile from ear to ear. 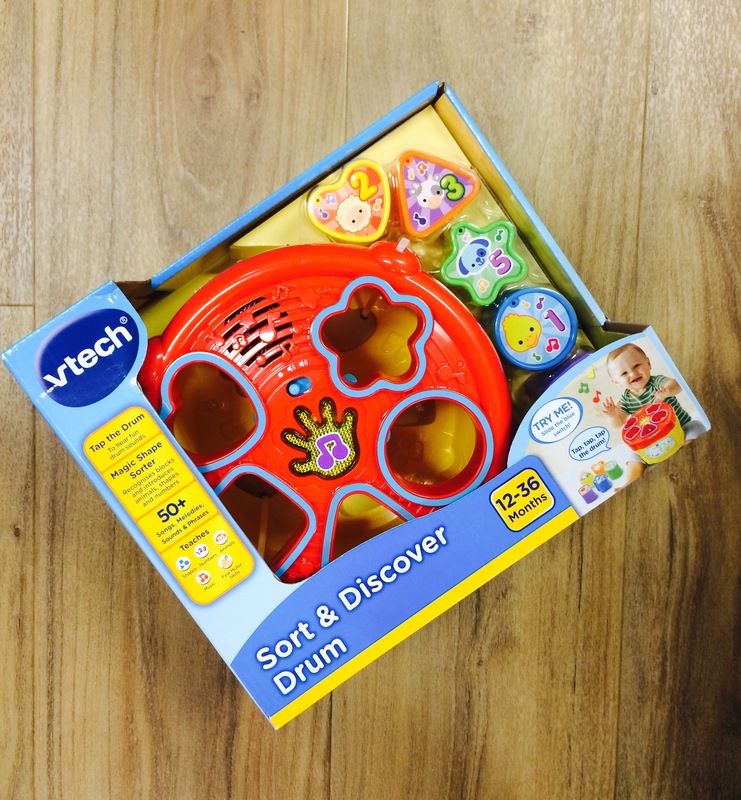 The Sort & Discover Drum is a great gift for a little person aged 12 months to 36 months, and just like all of VTech’s toys, it combines fun with education – which as a parent I value very highly. A big thumbs up to VTech on another fabulous product. Would your little person enjoy playing with the Sort & Discover Drum? The awesome team at VTech are giving one lucky reader the chance to win one. Simply share with me why you would like to win, and I will pick my favourite answer and announce a winner on the 30th of June at 10pm. Drum and learn with the Sort & Discover Drum. Your little drummer will love dropping the 5 different shaped blocks into the correct opening to learn about shapes, numbers and animals. They can also tap on the lid to hear great drum sounds! Easily remove the lid to collect all of the shapes. 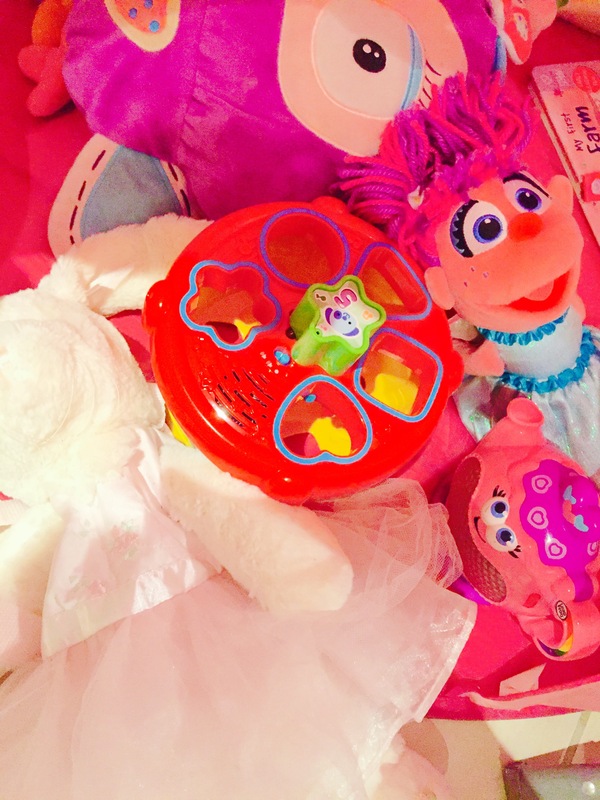 Develop motor skills and imaginative play by tapping the drum and getting reactions! Inserting the shapes into the openings also strengthens fine motor skills and helps improve hand-eye coordination. With 3 happy sing-along songs, fun and engaging phrases and lots of jolly tunes, your child will always be entertained! My little man is totally enchanted with matching, he will have hours upon hours of entertainment with this great educational toy. This looks like so much more fun than the old style shape sorters, a lot louder and brighter, with music to entertain and bring smiles to their faces, VTech have such a varied range of toys and this would be a welcome addition to the noisy range we have. I would love this to give to my nephew. First time Aunty and I’m aiming to be the favourite. 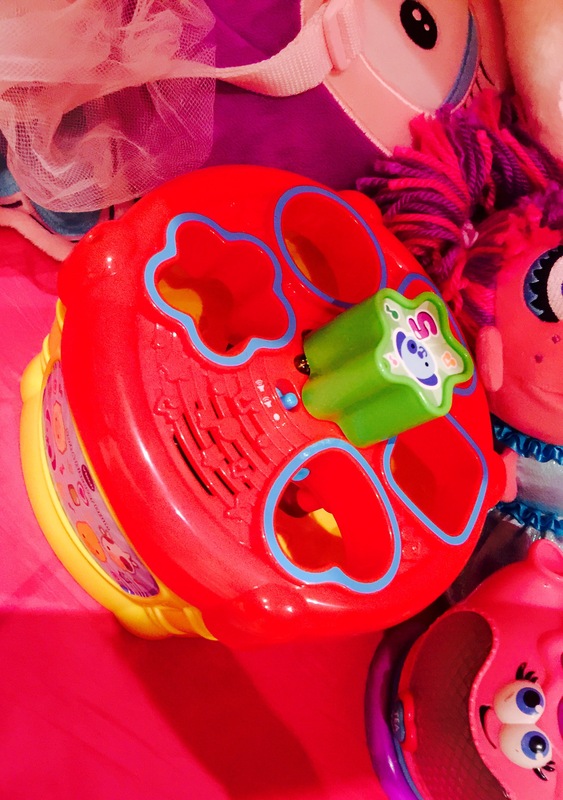 Fun Toys that teach are the best kind and vtech has that perfected. First time mum just had a baby girl, this would be a great gift for her when she’s a little older, to help develop her skills, co ordination and colours, kids now a days need the inspiration to learn, knowing this brand is a safe toy for my child, pressing the buttons for some nice melody tunes, to sooth bub and mum. I have a 7 month old that has just started to sit up unaided. She grabs at anything in her reach especially anything that is noisy and lights up. New sounds and music leads to a little surprised face and her laughing. I’m sure we’d have a tapping good time with the VTech Sort & Discover Drum, learning some cool educational stuff along the way.